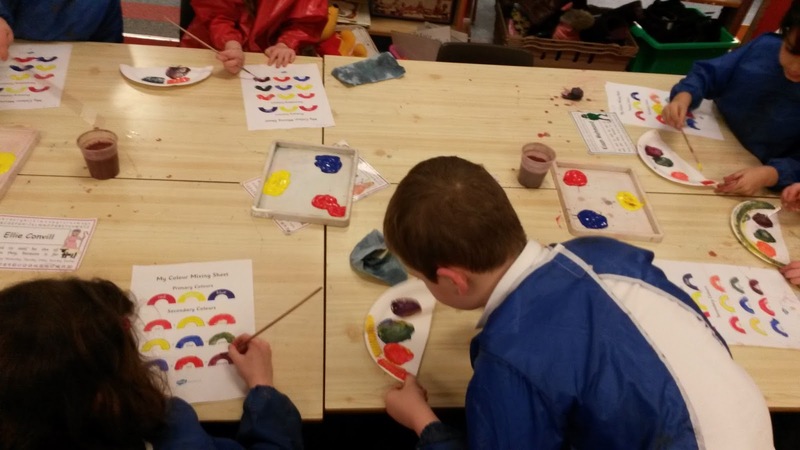 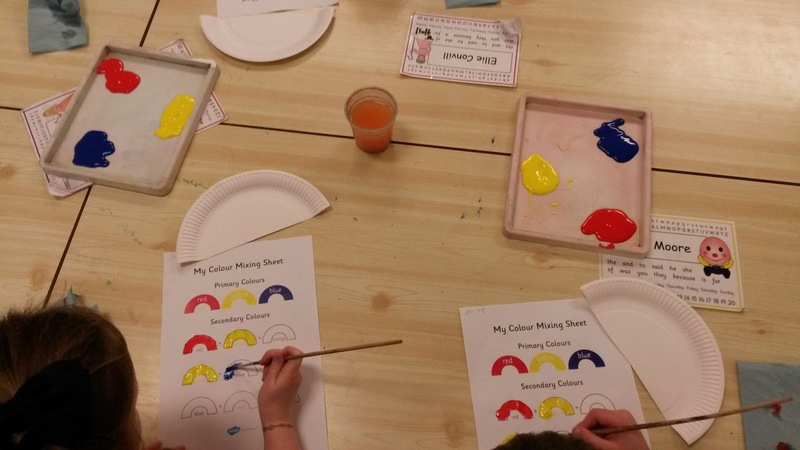 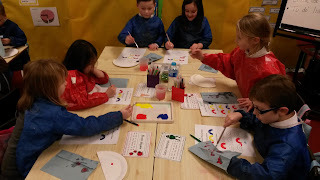 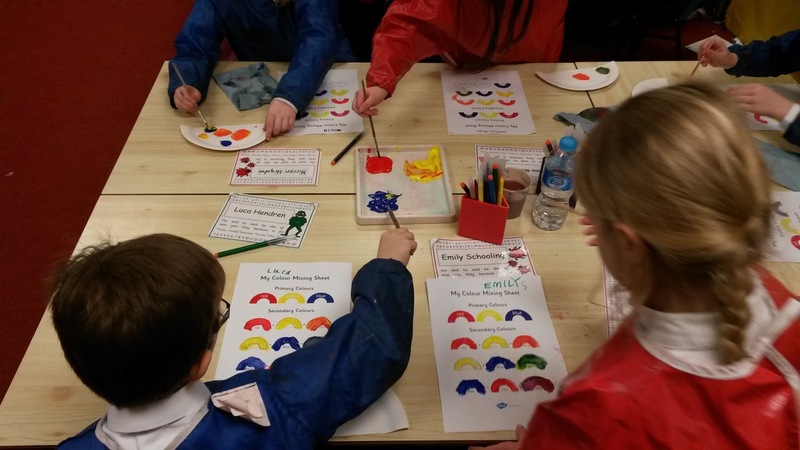 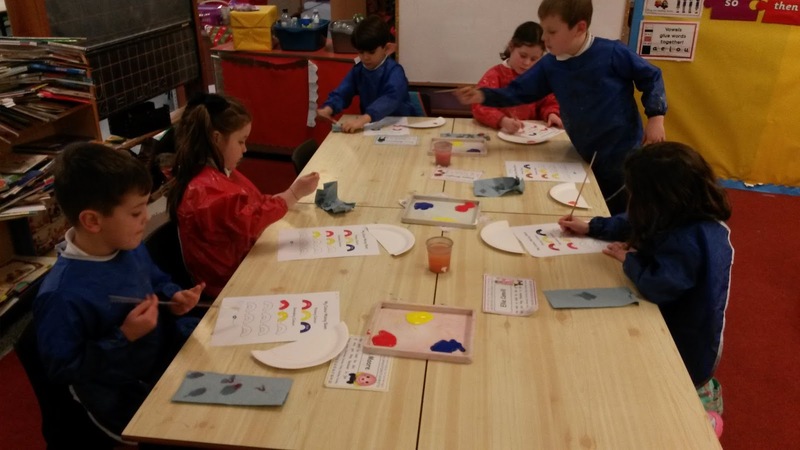 The children had fun experimenting with coloured paints this afternoon. Their challenge was to mix two primary colours to make a secondary colour. 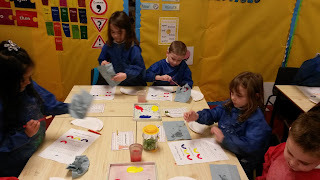 We managed to make orange, green and purple! We always wear our painting aprons so that our lovely uniforms do not get covered in paint.